President of the Ghana Journalists Association, Dr. Affail Monney, has described the death of Ghanaian Times Reporter Samuel Nuamah, as tragic and terrible for the media fraternity. 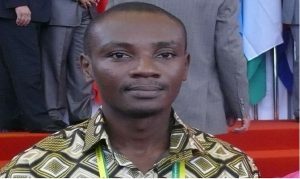 The Times reporter, who was part of President Mahama’s press corps on their way to Accra from the Volta Regional capital Ho, died in a ghastly accident on Thursday afternoon around Dodowa. 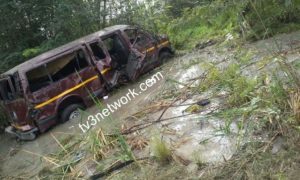 Some 20 journalists were in the Ford bus that veered off the road into a bush after it reportedly burst a tyre. The Ford bus carrying the presidential press corps which was involved in the accident. The severely damaged car left many with life-threatening injuries but left one dead on the spot. The injured, largely employees of major media houses in the country, are being treated at the 37 Military Hospital. The body of the deceased, who got married only in 2012 with a two year old daughter and a wife in the United States, has however been deposited at the Police Hospital Morgue. 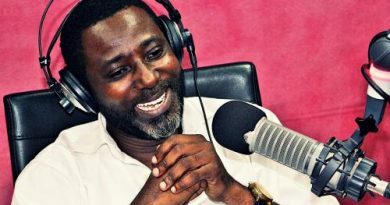 Speaking to News 360 on the development, President of the GJA, Dr. Affail Monney, said the incident was unfortunate and a sad day for journalism in Ghana. He however noted that inasmuch as journalists are answering to a call to serve humanity, their safety ought to be of utmost concern to their employers as well as all those who benefit from their work. “It’s terrible and very tragic. It has devastating consequences for the family because they never thought that their son will come back home lifeless. This reinforces the need for us to beef up the security around us and be concerned about safety because the nature of our job exposes us to such hazards and risks. It’s a very unfortunate situation. Our heart goes out to the family and the media fraternity because we have lost one of the rising stars amongst us. To report from the presidency, you need to have some pedigree and professional competence so it’s quite sad”. “I have been to the 37 Military Hospital since the afternoon and it gladdens our heart that some of those our colleagues who were said to be in critical condition are doing quite well. Some of them were even able to speak to me. We need to amplify the message that because of the dangers that characterize our profession, our employers should take us more seriously than they are doing now. Our welfare systems should naturally improve and also heighten our sense of safety. The UN has come out with guidelines on safety and I believe we need to internalize and reflect on these guidelines” he noted. 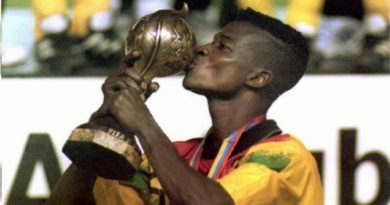 Editor of the Ghanaian Times Newspaper, Dave Agbenu, also told News 360 the corporation has lost a huge asset in Samuel Nuamah. “We received the news with shock. I can confidently tell you that he is one of our best reporters. He has been on the road at the presidency for the past eight years and that tells you about the confidence we have in him to write from the presidency. We have two correspondents at the presidency. One is a photographer and the other a reporter. They were separated in the two press vehicles; so the one who survived is the one who gave us the information and he is doing quite well and already back in the office”. 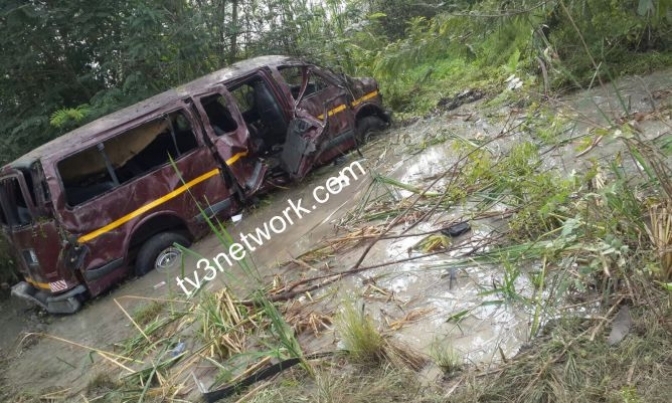 Meanwhile information gathered by tv3network.com suggests this is the second time in about four months that the press bus has been involved in an accident. Members of the presidential press corps say they have often complained about the safety of the vehicle allocated to them but their complaints have fallen on deaf ears. 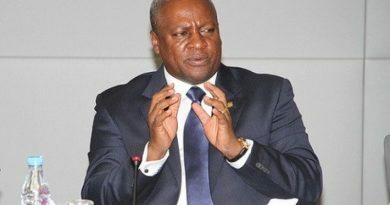 The situation at one time forced a member of the team to quit from reporting from the presidency.